While the Middle East is one of Oneworld’s stronger focus areas, service to Israel tends to be more scarce, especially in the premium cabins. British Airways and Iberia offer service to Tel Aviv, but high fuel surcharges often make award travel unattractive. One of the lesser-known non-Oneworld partners of American Airlines is El Al Israel Airlines, the flag carrier of Israel and arguably the best AAdvantage redemption for award travel to Israel. El Al operates Boeing 747-400 aircraft featuring fully flat beds in business class on their routes to/from New York-JFK and London Heathrow. However, on Boeing 747-400 routes to Barcelona, Paris-Charles de Gaulle and Bangkok, El Al offers an angled flat business class product, identical to the SpaceBed seats formerly found on Singapore Airlines business class. 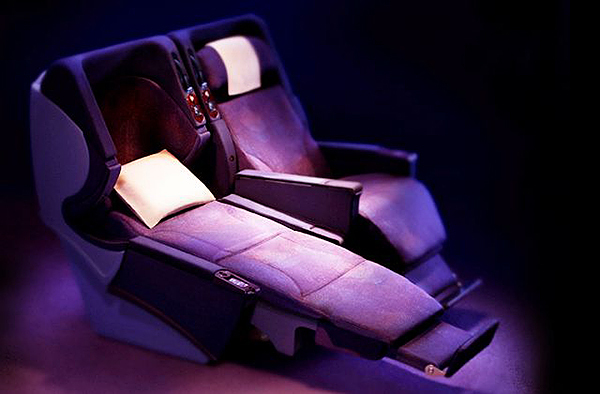 Angled flat seats are also offered on all Boeing 777 aircraft which currently serve Los Angeles, Newark, London-Heathrow, Paris-Charles de Gaulle and Hong Kong. While they are not as conducive to sleeping as fully-flat seats, angled flat seats still offer a decent amount of comfort for lounging. All other routes operated by El Al will feature recliner-style seats in business class – a throwback to the olden days indeed (but not in the good way!) Routes operated by the Boeing 767 do offer iPad entertainment in business class, these aircraft serve the remaining long-haul routes including Toronto. The well publicised “transit through a third reason rule” that AAdvantage has essentially ensures that El Al award travel is only practical if you are terminating/originating in Tel Aviv. If you wish to transit/stopover in Tel Aviv onwards to a connecting flight on El Al, two awards must be purchased instead. Note that AAdvantage awards are not available for El Al First Class. Award travel on El Al is combinable with other AAdvantage award partners. That means you can add on free positioning segments on American or US Airways to your North American gateway city, or other combinations with other partners on the one award ticket. The “conventional” way of searching for El Al award space is via ExpertFlyer, but as the saying goes – the best things in life are free. So again I recommend the FlightStats Seat Availability Tool for searching award seats on El Al. The fare bucket for business class award seats is X and economy class award seats is E. El Al tends to release a maximum of two business class seats on North American routes, while up to nine on all other routes. Economy class award space is plenty, with nine seats across the board. The best credit card to accrue AAdvantage miles in Canada is the Starwood Preferred Guest American Express which offers 1 point per general spend plus a 25% transfer bonus when you transfer 20,000 SPG points to American AAdvantage. Currently the card also offers 10,000 bonus points after $500 spend within the first three months, at an annual fee of $120. Thanks Jeff for this info. 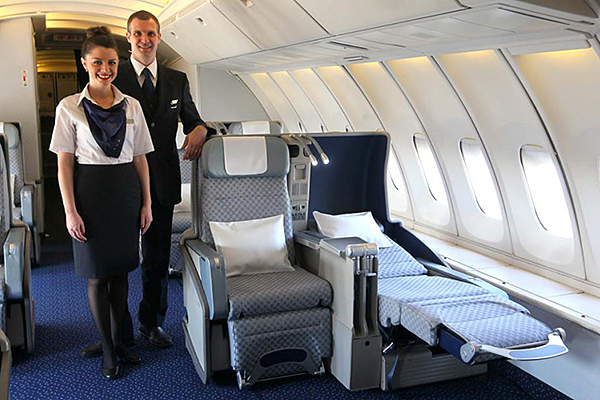 Putting aside El Al, what do you think is the best premium cabin (first class) between US and Israel on an award ticket? Most European airlines don’t operate a first class cabin on Europe – TLV flights, so you’d probably stick with whatever airline has the best F trans-atlantic (either AF/BA/LH/LX). Korean Airlines fly First class to TLV from ICN three times a week on its 777 planes so I’d think that’s the best premium cabin you can fly (USA-ICN-TLV). Yes that is a long long long flight but at least you’re flying in style! @Joey: Great suggestion! I suppose one could also fly one of the three Middle East carriers into Jordan and then use Avios to Tel Aviv. But KA is fewer connections. I assume you need to find the space and book online with AA? Any idea if you can book through US air? I assume not but just wondering for now. No, you can’t book this with USDM. You’d call in and book with AA. It’s 67,500 miles from N/A to TLV in business, not 62,500. When i search TLV-JFK no elal flight come up on flight stat, any idea why?